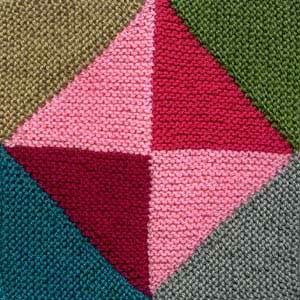 I used approx 50gm of oddments of 8 ply 100% Wool in various shades of pink and green. Repeat from * to ** once more, cast off. Make another strip the same. Join seam to form a square as shown in the picture and block.